Well, the people have spoken, and the winner (by a landslide) was... Boba Fett! I should have guessed as much. Just for the record, I didn't vote for Boba Fett. However, true to my word, I will hopefully shed some light on why Boba Fett is no longer my favorite bounty hunter in the Star Wars universe. I'll start by refreshing your memory. 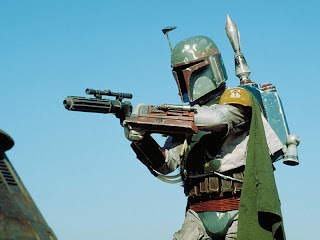 In the current official Star Wars cannon, Boba Fett makes his first appearance in Episode Two. Boba Fett is a clone of the mostly awesome bounty hunter Jango Fett. 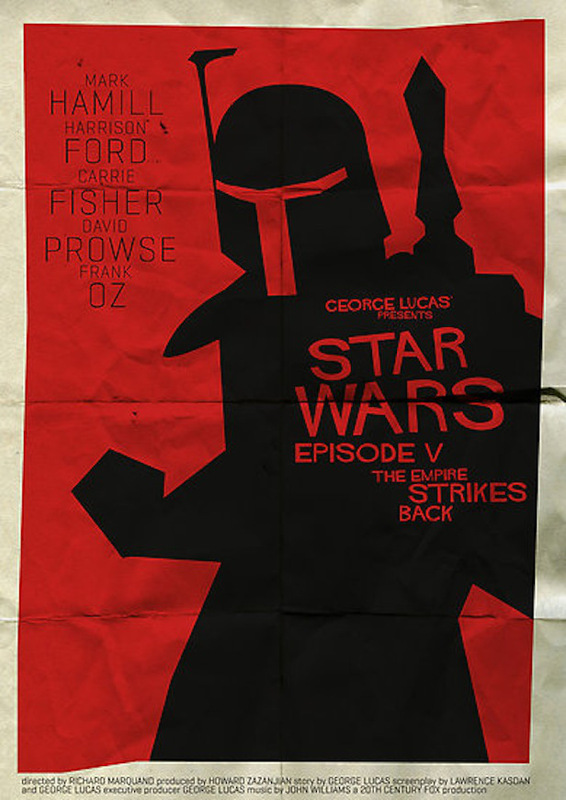 You remember Jango Fett... His head was lopped off by the purple light saber wielding Sam Jackson Mace Windu. At any rate, Jango Fett was great, though short lived. Boba Fett sees his father die, and then isn't heard from again. Until, that is, Episode 5. Put everything you know about the Episode-2-Boba-Fett in the recess of your mind, because Boba Fett was originally created in Episode 5. 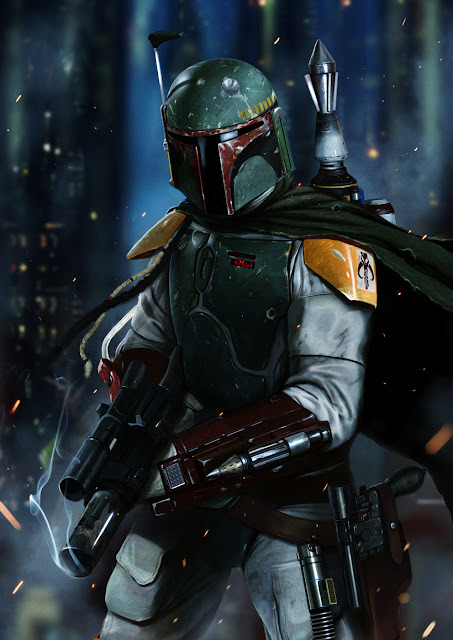 Here Boba Fett appears as the BA bounty hunter that everybody knows him as. Maybe because his costume is possibly the coolest costume in all of Star Wars, or maybe because he's so terribly mysterious, Star Wars fans instantly fell in love with Boba. In reality, he hardly does anything in the films... He does find Han Solo. We can credit him with that. However, he is ultimately disposed of in a mostly embarrassing manner, and presumably eaten by the sarlacc monster. But how could such a Bounty Hunter as Boba die without even giving up a worthy fight? No, Star Wars fans wouldn't allow it. So, shortly after the release of the original trilogy, Boba Fett's back story was written. Moreover, his escape from the Sarlacc Pit was also written (it should be noted that no one other than Boba Fett has ever escaped the Sarlacc Pit-- That's got to count for something, right?). The post-movie-era books on Boba Fett were pretty good. I haven't read all of them, but what I have read is mostly good. You can get a good sense of Boba's personal moral code and capabilities from those books. Boba's back story however, was quite possibly the best, let me say that again, the best Star Wars short story ever written. That's all there was originally, was one short story, written by Daniel Keys Moran in 1996. Here lies the traveshamockery that is Boba Fett. I won't go into too much detail about Boba's Original story, but you can read it by clicking here (once you open the page, do a word search for "The Last One Standing," and you'll find it). Essentially the story goes like this: There was an honorable and good man named Jaster Mereel. He was a law enforcer of sorts on the planet "Concord Dawn." He learned that one of his comrades was corrupt, and so he... "took care," of the problem, if you know what I mean. Anyway, the punishment for killing a fellow law enforcer was exile, but the people were willing to forgive Jaster if he would admit that he made a mistake. Feeling justified in his actions, Jaster refused and was exiled. Years later, Jaster returned as Boba Fett. That's a summary of the story, but trust me, the story is much cooler than that. Jango Fett was Boba Fett's adopted son. Then came along George Lucas. George Lucas took Boba's beautiful back story out back in the alley, and brutally murdered it. This is one of George's greatest sins. So much for Boba being a BA. Instead, he's just a clone. A boring and lonely but very profitable clone. The really interesting part is that George tried to cover the whole thing up! The character Jaster Mereel actually still exists in the official Star Wars cannon. His story is largely unchanged (he even adopts Jango Fett as his son), only he never comes to adorn the Boba Fett title... In the end, he is betrayed and killed. 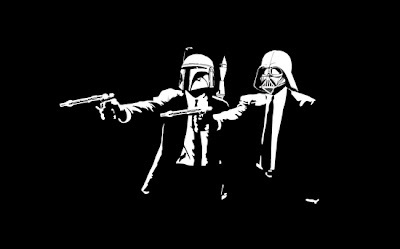 Better yet, in the post-movies official cannon, Boba Fett's ends up changing his name to Jaster Mereel, gets a job on Concord Dawn as a law enforcer, and commits the EXACT SAME CRIME as his adopted Grandfather, the original Jaster Mereel. Good job George. You always fix everything. Now, Boba Fett is still a really cool character. I love him. But I hope this post illustrates that before the prequels were released, he was an even better character. Don't get me wrong, I still think he's a BA... But I can't call him my favorite because, frankly, he's been tainted. If I had to pick a favorite bounty hunter in the Star Wars universe, I'd have to pick the oh-so-unlucky IG-88.